Is it time to buy a gun? 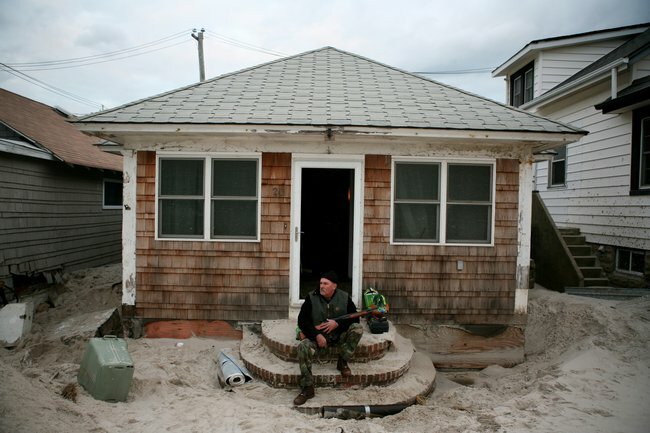 Hurricane Sandy has left a loss of property and power and sadly, some lives, in its wake. For us there was no power for merely two days– though that seemed like an eternity. We cooked by candlelight and flashlight– desperately trying to use everything that could spoil in the fridge. We adjusted our sleep patterns to coincide with the rising and setting of the sun. There are lines at the gas stations and gasoline rationing in some places. But these are just minor inconveniences, right? I have always thought that the revolution would start if you turned off the power for 5 days. You can feel patience wearing thin for those of us still without power. Our local electric company seems to be uniquely aware of how precarious things are as well. And whether by design or accident they have focused much of their initial power restoration efforts on the nearby cities with the largest economically disadvantaged populations. Think of the result if they had instead concentrated the power restoration on more affluent towns. Better yet, don’t. Anarchy can become quite real, quite quickly. We are just a few days from a breakdown of the kinds of rules set out by Dr. Moreau in the 1932 film, Island of Lost Souls. Dr. Moreau (Charles Laughton): What is the Law? 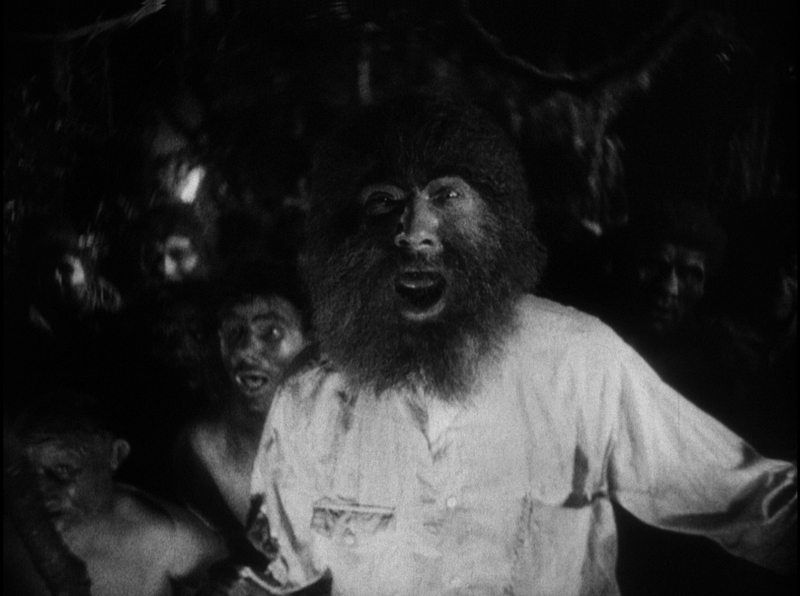 Man/Beast (Bela Lugosi): Not to walk on all fours. That is the Law. Are we not men? Dr. Moreau: What is the Law? Man/Beast: Not to eat meat. That is the Law. Are we not men? Man/Beast: Not to spill blood. That is the Law. Are we not men? Another less painful casualty of this catastrophe is the loss, or in our case deferral, of Halloween. Halloween is a magical time for kids– a time when you visit homes that you would never approach the rest of the year. This is the fascination of Halloween– approach a house that you have never given a moment’s thought about in the hope of adding to your sack of sweet booty. In some neighborhoods, in our region, this might not be such a good idea just now. It reminds me of the year we lost and reclaimed Halloween. The year of my 9th birthday, we were living in Long Island City, a Queens New York Neighborhood. We lived in a complex of several 6-story elevator buildings. The neighborhood was filled with some of the most colorful people I have ever been around. Leo, best friend, with a basketball shaped head covered in shaggy blond hair and a high-pitched voiced. Rudy, the round-faced gravel-throated wunderkind, remembered mostly for shouting out, “The Fuuuuuuuzzzzzzzz!! !” every time a cop wandered into our neighborhood, as we all scampered away like cockroaches under the glare of the policeman’s stare. After school, we played on the concrete sidewalks, places where skinned knees and elbows were as frequent as the sound of sirens. And this was especially true if, like me, you learned to ride a bike and learned to use parked cars as an emergency braking system to prevent the bike from slipping out in front of oncoming traffic. I must have ruined a paint job or two during my bicycle apprenticeship. Though I did not know it at the time, that Halloween was the last I would have in this urban heaven. I went Trick or Treating with friends. We hit three of the buildings in the complex. Here’s the math of it: 6 stories, 10 apartments on each story multiplied by the three buildings: that’s 180 households. And we hit every apartment that was laying out the goods that night. It was an immense haul of candy. We had to stop because we literally ran out of room in our overflowing Halloween bags and they became too heavy to carry by the end of the night as we dragged the bags home, stopping several times along the way to regrip the twine shopping bag handles that were eating their way into the skin inside our hands. We had struck gold and I never wanted to have Halloween in any other place. It was a time to gorge ourselves– though I had learned a lesson about moderation the year before when I discovered that you can have too much of a good thing: I overdosed on Smarties (my favorite candy at the time) and spewed Technicolor vomit in the middle of my 3rd grade class the day after Halloween. It was fantastic! The following October, we moved to Southern New Jersey. Taking up residence in a place call Vineland where my parents sought refuge from the city and found the anti-New York. There were about 10 houses on our block. What the hell were we doing here? I did not know how to voice it until years later, but I was experiencing a strange and personal diaspora. This wasn’t even a suburb. It was downright rural– peach orchards and chicken farms. The night sounds of the city– people pacing the apartment above, sirens blaring in the night– these were consigned to memory only. At night, the soundtrack consisted of crickets– hundreds, maybe thousands, of crickets looking to score and perpetuate their family lines. This was not my place and I hated that sense of non-belonging. Yes, my parents were trying to get a better life for us. But what good is served trading safety (whatever that is) for misery. It would be eight long years before I would get out. Come October 31st, we did as always– we put on costumes and went out in search of a hoard of Halloween candy, in the chill October air, the Smarties Episode a distant memory. However, my expectations for a big haul were very high, given the prior year’s success. This time, my younger sister and I went out together. There we were on our dark street– 10 houses and 15 minutes later, we were done. We returned home with a paltry dozen pieces of candy in our sacks. Disappointment does not begin to describe what we felt. Back home, my mother sat with a big bowl of candy and no other Trick or Treaters in sight. We were living on Isolation Boulevard. Dad was away in New York City, working. We would see him on the weekends only. We had one car that he used it to commute to NYC. My mother did not even have a driver’s license– there was never a need for that while we were living in NYC. Thus, going to another neighborhood to get candy was not an option. Looking back, Halloween was harder on her than on us. Separated from our New York family, no form of transportation, on a dark street, husband away from home, no real friends to rely upon, 2 deeply disappointed kids. She must have felt she was drowning. Drowning anonymously on a darkened street. But she did not let on. She asked us to step outside and ring our own doorbell. Trick or Treating at our own house. THIS WAS LAME. But we obliged– at least we would get more candy. We rang the door bell and shouted “Trick or Treat!” The door did not open right away. Great. We’re being dissed at our own house as well. When it finally swung open, she greeted us, a sheet draped over her head. Dressed as a ghost, and making appropriately ghoulish sounds, she happily filled up our bags with the candy that no one else claimed that night. The steam from our laughter-filled breath permeated the October chill as we rang the bell again and again. It was our most incredible Halloween– in retrospect, much better than the one the year before. I am not comparing the tragedy of Sandy to the inconvenience of losing Halloween. But this story serves as a reminder that when times appear dire, we need to turn to each other for support and comfort. And sometimes relief comes from the most unexpected places– sometimes from a change of attitude within ourselves. Next week when we celebrate Halloween, the day after the Presidential election, we may need to ask the same questions. Should I buy that gun? What is the Law? What is the role of Family? Despite the craziness, I’m glad to hear that you both are all right and didn’t go too long without power. Things are slowly getting back to normal (whatever that is). We are expecting another storm mid week– a Nor’easter, we call it. Hopefully we won’t lose power again. Thanks for the well wishes! Sorry to hear of so much trouble SS. I heard this quote some years ago and it stuck: “When society has no absolutes, society is absolute.” Culture reigns, and for you it’s family and friends, and that’s important. Sometimes we are so open minded that everything falls out; but blood and honor go a long way in manifesting that humans are more than animals. Last year I was without electricity for three days because of a very early destructive snow storm, but none of the scary stuff.